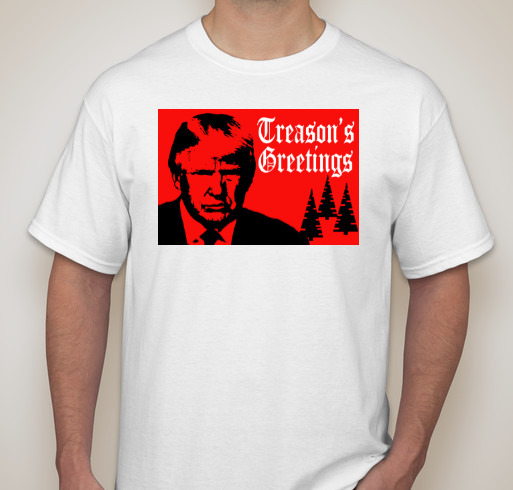 We’ve got some last-minute stocking stuffer t-shirts that will only be available over the next week until Sunday, December 3 (so folks can get them in time for Christmas), and which help fund our Resistance work. The first is our very-popular “Nevertheless, she persisted” design — personally, I think TIME is going to make women its Person of the Year 2017. Regardless, this is clearly our year of the woman. The shirts are $25 each — and a sizable portion of each purpose goes directly to fund my work. (The more shirts we sell, the better the commission.) Please have a look, buy some, and share them with your friends on social media. Hmmm. Could it possibly be returned? Hm? I don’t think one has to have their own store to validly point out a problem with an existing store’s product. I would be annoyed and disappointed to buy a shirt which unexpectedly came with an advertising URL under the art/message, when the displayed product image on the store website did not show the advertising URL. So it seems good to note this discrepancy. I’m certain that your shirt store has no problems. Of course, you may be a one hit wonder. 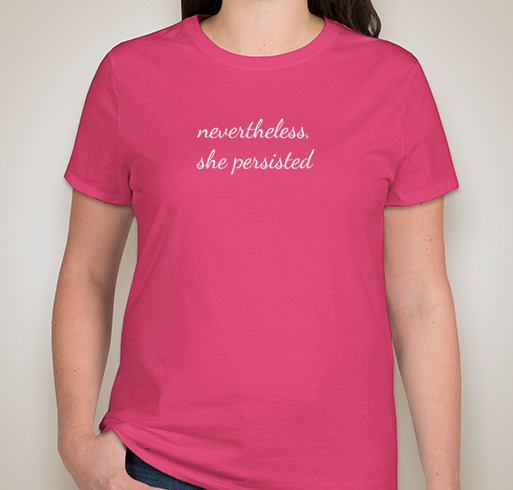 Hey – your “Nevertheless She Persisted” shirts don’t match the product picture. They also have printed below the message “resisttrumpinstyle.com” — which would have been ok, if you actually put that in the product picture. Not cool that you’re selling something different than what’s actually advertised.